Accessibility and experimentation are in splendid balance on Dr. Dog’s latest, a reimagining of the band’s 15-year-old experimental debut tape. 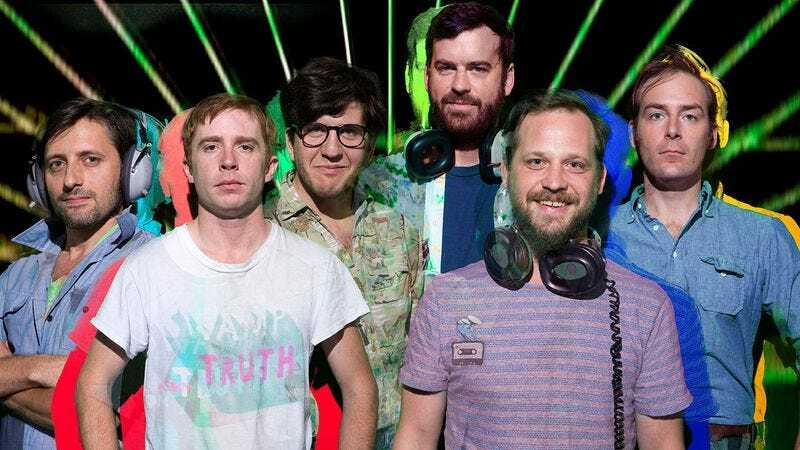 The starting point for the band’s eighth studio album is what bassist Toby Leaman has described as an “unlistenable” recording effort from Dr. Dog’s earliest days. Last year’s Live At A Flamingo Hotel included songs from six different albums recorded between 2002 to 2013, compressing the Dr. Dog catalog. Listening to songs from different eras of the band’s career alongside each other, the whole of the band’s identity became easier to see. 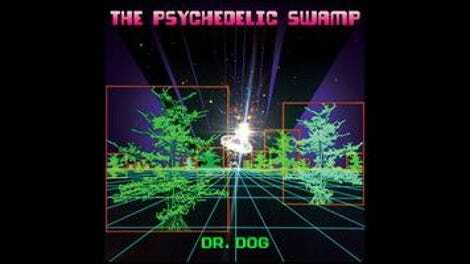 The Psychedelic Swamp follows that exploration by looking even further backward, to the prelude chapter in Dr. Dog’s story. It took Dr. Dog seven albums, some lineup changes, and hundreds of shows to arrive at the band’s current, fully formed identity, so that it can now bring those early ideas to life, combining tight, infectious songwriting with heavy doses of mischief. As abstract as the album’s lyrics are, they point to this mythical psychedelic swamp as somewhat of a grass-is-greener cautionary tale. The escape is tempting, but in the end, the choice of facing—and embracing—life itself can make for a richer experience. The ramshackle “Swampadelic Pop,” as appropriate a description for Dr. Dog’s music as anything, grabs this idea, rescuing long-lost material and bringing it to life. “Engineer Says” is bluesy, vampy stomp, with a reverb-laden guitar anchoring the relatively minimal soundscape, until at the final bend in the road, a screeching saxophone climbs on board and the song careens to a close. The raucous, in-your-face “Badvertise” threatens sensory overload, matching the music video’s tripped-out parody of the incessant piling on that characterizes the advertising industry. In the single “Bring My Baby Back,” Toby Leaman’s lead vocal carries the yearning of a man battered by fate into hopelessness, framed by skittering electronics that give the song a pulsating, unsteady energy. The album mellows for its closing track “Swamp Is On,” which features an easily strummed acoustic guitar underneath a leisurely lead guitar line. The song feels like a disembarking point, the journey through The Psychedelic Swamp having come to a calm and peaceful close. Some songs here (surely “Bring My Baby Back” and “Swampadelic Pop”) are destined to become signature Dr. Dog tunes, but stronger than the impression of any single track is the one Psychedelic Swamp leaves as a whole. This band cranks every dial, stretches every muscle, and explores every nook and cranny in its domain, and has one hell of a time doing it. It’s an album of swampadelic pop that spares none of either, straddling the line with the band’s signature side-by-side blend of swirling atmospheric noise and earworm melodies. You can marvel at the strangely layered backdrops of these songs, get lost tracing the oddball sonic twists, and still come out with the chorus planted firmly in your head.